A few months back I decided to sate my curiosity for home charcuterie by joining the Melbourne Meat-Up, a social start-up group for people "passionate about the art, science and craft of home- or house- cured and smoked meats". While I've thus far only made it to the occasional event it's been absolutely fascinating and a wonderful opportunity to share in the knowledge and experience of a great bunch of people. 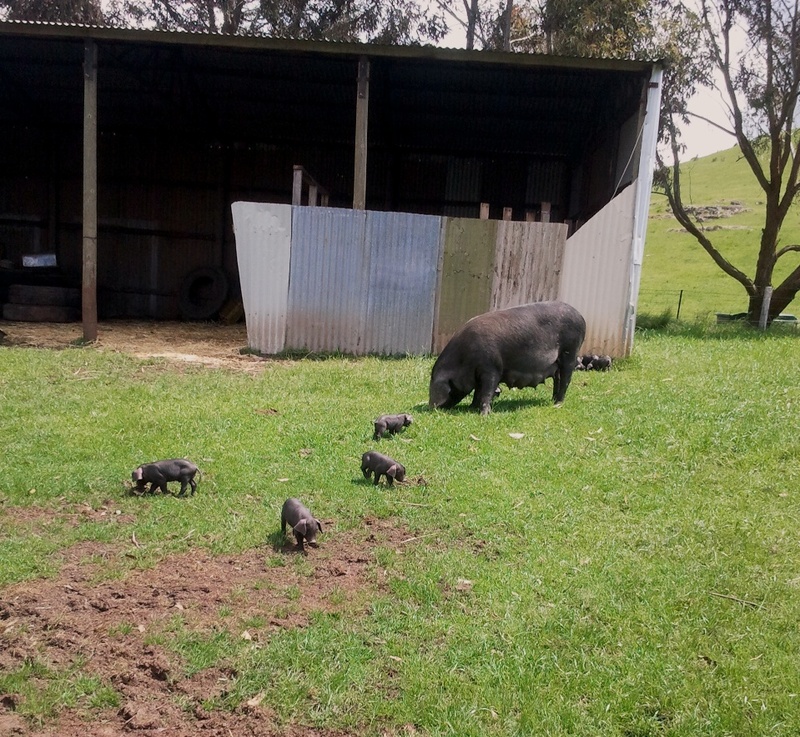 Our latest outing was a visit to Jonai Farms where we spent the day with the immensely generous and enthusiastic Tammi, Stuart and kin; a family of ethicurean farmers who run a herd of 90-odd rare breed Large Black pigs on a beautiful 23 acre property just outside of Daylesford in country Victoria. After a quick tour of their new butchering facilities Tammi and some of the more experienced members of the Meat-Up crew walked us through breaking down a half carcass for the 'big eight' cuts of salumi. Conversations were continued over an exceedingly tasty barbecue lunch, and then it was off for a quick stroll to meet the rest of their charges. 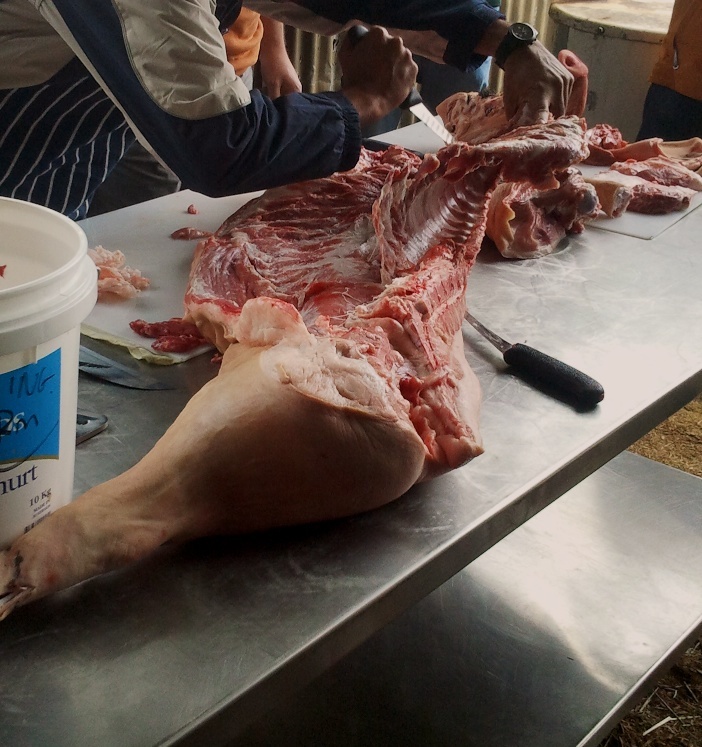 Filled with farming insight and one of the better analogies for how to pick up a piglet I've heard to date, it was back to work with all hands in as bacon, pancetta, coppa, lonza, salami and guanciale were all set down to cure. 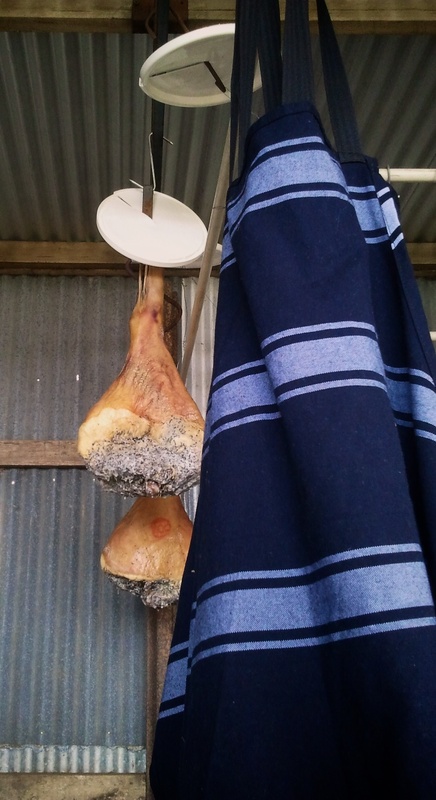 The hind leg was reserved for our first Meat-Up prosciutto, and the quality of sausage innuendo did not disappoint.